How early were sea routes developed for immigration and trade? How early were sea routes developed for immigration and trade? The question leads us to more questions, mysterious questions. The earliest seaworthy boats may have been developed as ear-ly as 45,000 years ago according to one theory about the habita-tion of Australia. Some sources claim that it was only 30,000 years ago. Either way, the con-cept is mind-boggling. Could Neanderthals or Cro-Magnons have built rafts or canoes? The 13,000 year old skeleton of a teen age girl was found in a Yucatecan cenote a few years ago. 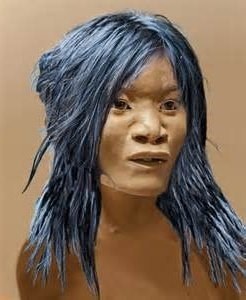 The human features were reconstructed. Amazingly, she did not resemble contemporary Maya or ancient Siberians, but instead is said to resemble Polynesians. Copper hatchets from the Chincha Valley of Peru were trade items found in Ecuador. Similar hatchets have been found in northern Mexico, not far from the Arizona border. These could have traveled via land routes, but did they? 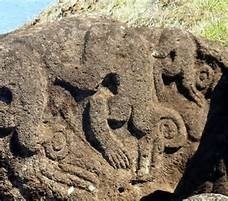 The word for sweet potato on Easter Island, kuma, is the same as the Inca word. How did the denizens of that island arrive in the middle of the ocean? The distance from Chile seems just too far. 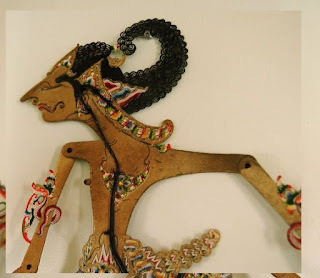 On a trip to Indonesia, in Bali, you can join the local population to enjoy shadow puppet shows depicting scenes from the ancient Hindu story, the Ramayana. In an antique shop on nearby Lom-bok we saw objects that looked Greco-Roman and thought that they were fakes or just unusual. In Cambodia we find statues of Buddha, who was born in the 5t'' century BC in Nepal. How and when did the Cambodians learn about Buddha? Obviously ideas and stories have been exchanged over water, and in many instances, vast distances. Humans must have immigrated over water to places that they could not see on the horizon. Just how far did these journeys take them, and just how early? Perhaps more importantly, why? Our September 17th speaker, Dr. Lisa Niziolek will unravel the stories, well calculated, promis-es an enthralling afternoon.